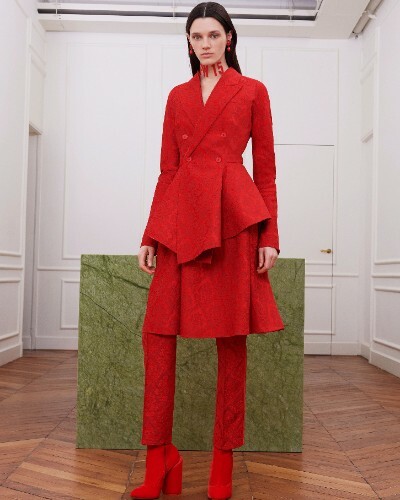 If you've been reading the fashion magazines or fashion trades, you know "Red" is the dream color of 2017. Pantone didn't name 'fire engine red' color of the year. But, they should have. 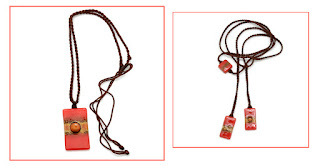 When I see Calvin Klein, Michael Kors and Carolina Herrera sending 'red' down the red carpet, I know it's time to offer our fair trade jewelry in all shades of red. Red for Spring. Red for Winter. Red Red Red. Red has been on my brain for quite some time. Yesterday, I received notice that Accessories Magazine was going to be emailing a trend-finder report focused on red to their audience, store owners. Do you know what that means? By reinforcing the importance of red to brick-n-mortar owners, you'll find lots of red stocking store shelves as we move into fall and holiday. You better believe that Dunitz & Company is prepared. I read lots of color forecast articles. I watch all the clothing runway shows. 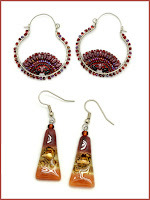 By the time I design my fair trade jewelry collections each season, I absolutely know what colors to include. Just the same, after I read Accessories pitch to pitch "red", I sighed with relief. We have plenty of nifty red designs on our retail site. We're offering some stunning new red color combos for our wholesale customers for Fall/Holiday. Are you familiar with our Joanie M Collection? 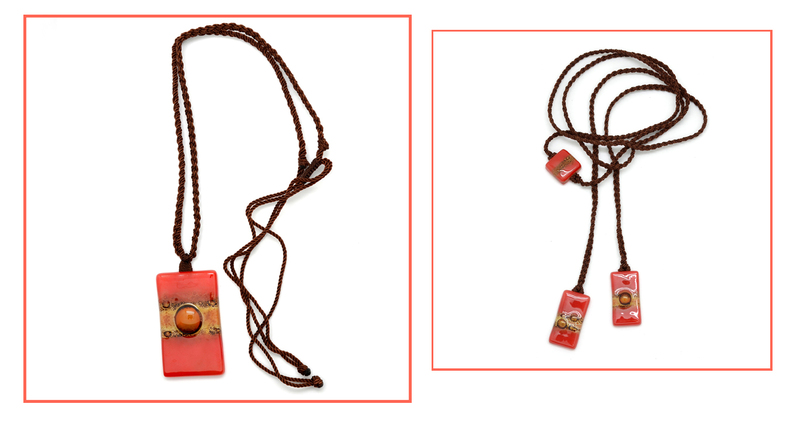 This is a fair trade fused glass jewelry collection I first introduced in 2011. It's been a huge success. 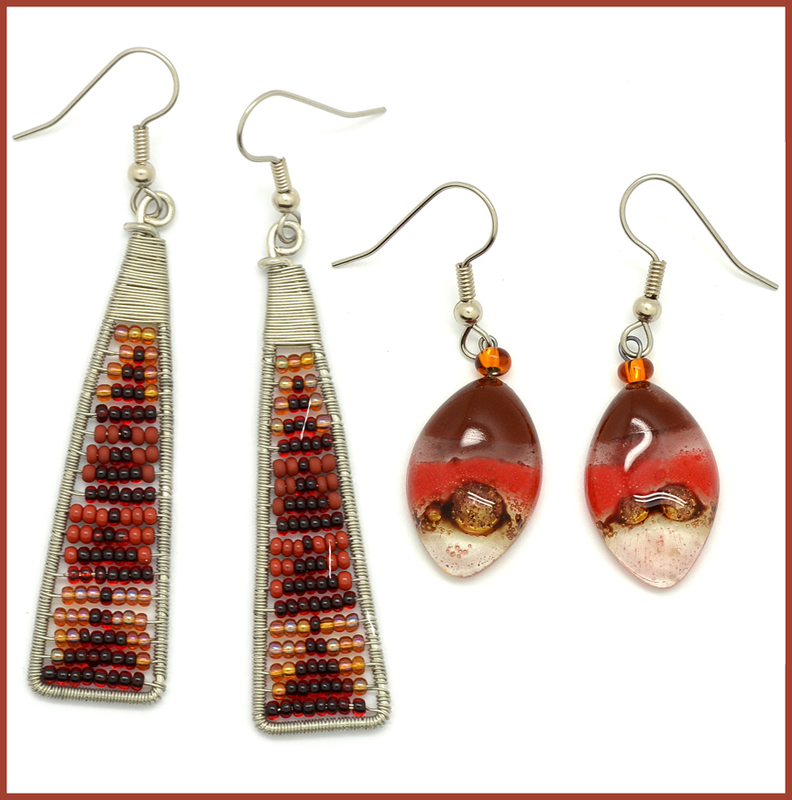 It's made by artisans in Guatemala...& yes, for 2017 we have lots of red hot designs. These pendant necklaces and lariats ---> (and matching earrings) can be purchased on our site. I personally think that retailers and customers will choose to purchase more muted shades of red for Fall and Holiday. Our wholesale show season starts later this week at the Los Angeles Convention Center. We'll be there for California Marketplace. Later this month Dunitz & Company will be at Las Vegas Market followed up by New York Now in August. When I see the buyers that purchase from me (for their stores), I'll have a host of new designs in various red color combinations. For Fall, I'm banking on garnet - amber combinations. Here's a teaser! Wouldn't you wear these? And for holiday - deeper darker shades - almost blood red. And in some cases, our combos will include hints of jet or gold. See what I mean here---> And yes, if you study the collections of Calvin, Michael and Carolina you're sure to find some more muted hues.